The relevance of outdated recommendations regarding sheep diets was discussed at an AHDB Sheep research open day at Harper Adams University. Simon Wragg reports. 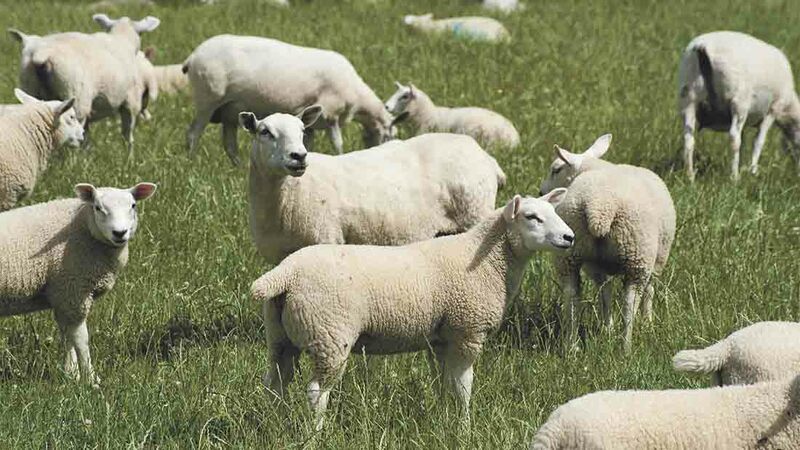 Current recommendations on the level of metabolisable protein (MP) required for sheep diets, in particular ewes in late pregnancy, are woefully outdated and need to be revised urgently, according to research at Harper Adams University and Scotland’s Rural College (SRUC). Robert Wilkinson, principal lecturer in animal nutrition at Harper Adams University, said guidelines for formulating sheep diets were last updated in the industry’s Advanced Forming Research Centre (AFRC) 1993 recommendations. He said: “Some of the research used in drawing up recommendations goes back to studies carried out 30 years earlier. “It is likely, with the development of sheep breeds, the industry is now underestimating the need for MP on three counts. The sheep sector may need to pursue a re-evaluation of feed requirements funded centrally, possibly by AHDB, similar to the UK dairy industry’s £2 million Feed into Milk study, he suggested. Studies on 48 Suffolk cross Mule twin-bearing ewes at Harper Adams looked at the effect of feeding different levels of MP on ewe body condition in late pregnancy and early lactation and subsequent lamb performance. Trial results highlighted ewes with lower condition scores (2.5) responded greater to additional MP, increasing litter weight from 9.2kg to 10.4kg. Those with condition scores of 3.0 increased litter weights to 9.7kg for comparison. This impacted on lamb eight-week weights, which increased from 36kg to 42kg and 38kg to 43kg, respectively. In a separate study at SRUC, ewes fed 125 per cent of the AFRC 1993 recommendation for protein (in the form of DUP) and placed under a parasitic challenge from six weeks pre-lambing to eight weeks post-lambing had a positive impact on supporting ewe liveweight and condition. No impact on litter weights was recorded, it was suggested.